Four years of dedication is paying off for Jesuit High School's Class of 2018 as top colleges and universities across the country and state will be enrolling Jesuit's next graduating class this fall. 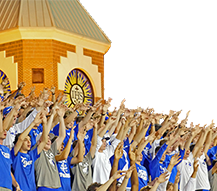 Jesuit's Director of College Counseling, Fernando Rodrigues, emphasizes the college search is about finding the right fit for each individual. From among thousands of universities, the college counseling department has been working with each student to find the schools that are the best match for them. 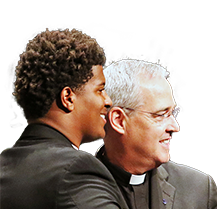 For Tommy Pham '18 (Notre Dame), Lazaro Alvelaez '18 (Boston College) and Sam Sands '18 (North Carolina), that best match also will include a prestigious, four-year, full scholarship. Pham is the Jesuit's first QuestBridge Scholar, click here to read his extraordinary story. Alvelaez earned the exceptional Presidential Scholarship to Boston College (following in the footsteps of Sergio Farina '16), click here to view Alvelaez's presentation at Gaudiosa 2018. 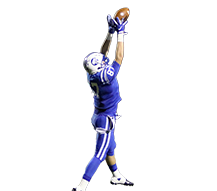 And Sands earned a Morehead-Cain Scholarship, an extremely highly selective honor at North Carolina, click here to read his success story. 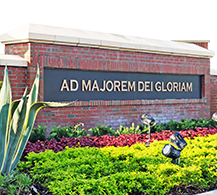 The students pictured on the homepage, seated outside of Jesuit's new Chapel of the Holy Cross, represent a cross section of Jesuit's college acceptances. From left to right, it's Alvelaez (Boston College) and then Anthony Nelson '18, who chose Harvard over numerous options, including Princeton, and will play football for the Crimson. 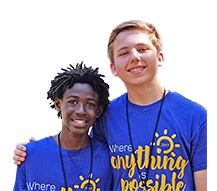 Next to Nelson is Ryan Welsh '18, the president of the Teens for Haiti charitable organization, who will attend Florida State along with numerous Jesuit classmates. Alongside Welsh are Malik Johnson '18 (Emory) and Sands (UNC), who are among many who will attend highly selective southeastern universities such as Emory, North Carolina, Duke (Kendrick Torain '18), and Virginia. 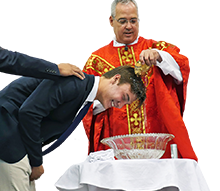 Several Jesuit seniors are expected to enroll at the University of Virginia, including Reid Clark '18, Christian Jung '18, Joseph McGonnigal '18, and brothers George Robbins '18 and John Robbins '18. Next in the photo is Diego Perez-Aracena '18, an accomplished artist and diver who is choosing between two Ivy League universities, Columbia and Brown. In the Georgetown t-shirt and cap next to Perez-Aracena is Patrick Eberly '18, a standout wrestler and altar server who has chosen the Jesuit university in Washington, D.C. Possibly joining Eberly at Georgetown University is classmate Charles Clark '18, who is choosing between Georgetown and Florida State. Matthew Tamashiro '18, a National Merit Finalist who achieved a perfect ACT score, is beside Eberly. Tamashiro has accepted a full scholarship to the University of Florida and is among many from the Class of '18 headed to Gainesville. 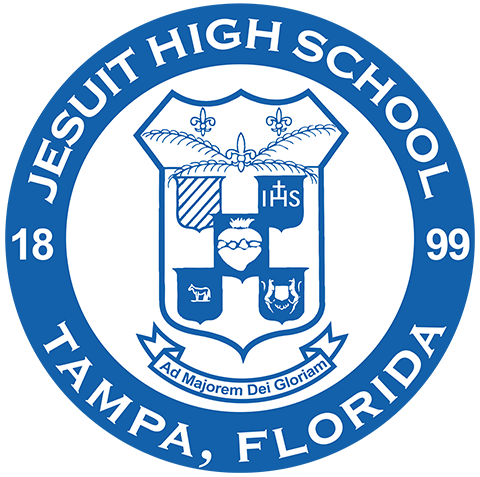 The past four years, of all the Jesuit students who have been accepted to UF, more than 100 have enrolled at the school. Joshua Cruz '18, also a National Merit Finalist, is next to Tamashiro wearing the Georgia Tech t-shirt. Cruz is choosing between Vanderbilt, Washington University in St. Louis, and Georgia Tech. Hyoung Kim '18, who is sporting the ND sweatshirt, is choosing between Emory, Florida, and Notre Dame. Kim and Tamashiro were Jesuit's first-ever Saint Ignatius Scholars. Nathan Gimness '18, on the far right of the photo, is another future Ivy League student. Gimness will enroll at the University of Pennsylvania this fall. 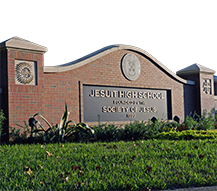 Many Jesuit seniors are pursuing outstanding arts programs. Jordan Vivero '18, Jesuit's first Zipoli Organ Scholarship recipient, will enroll in the esteemed school of music at Belmont University in Nashville. Josh Reynes '18 is pursuing film at DePaul University in Chicago. And Alex Pena '18 will attend the renowned Savannah College of Art and Design. Other seniors such as Jack Mahoney '18 (University of Chicago) and Ethan Dieck '18 (Pomona College in California) had a choice of many highly selective schools. Mahoney, for example, chose Chicago, where he will join Byrne Litschgi '16 and Spencer Wallace '17, over acceptances to Notre Dame, Boston College, Marquette, Virginia, and Georgetown. Rodrigues is excited to see so many options for the seniors, spanning numerous highly selective schools from around the country, and is pleased the students are focused on finding the right school for them. "Our students are encouraged to pursue their best options anywhere,'' Rodrigues said. "We try to find a balance in their college search between academic excellence and the outside-of-the-classroom experience. We are working with them to find the environment where they will thrive."